This introduction to Montessori education is ideal for parents, classroom assistants, and Montessori educators. Those new to Montessori will find the explanation of this unique approach to empowering learners entertaining and easy to understand. 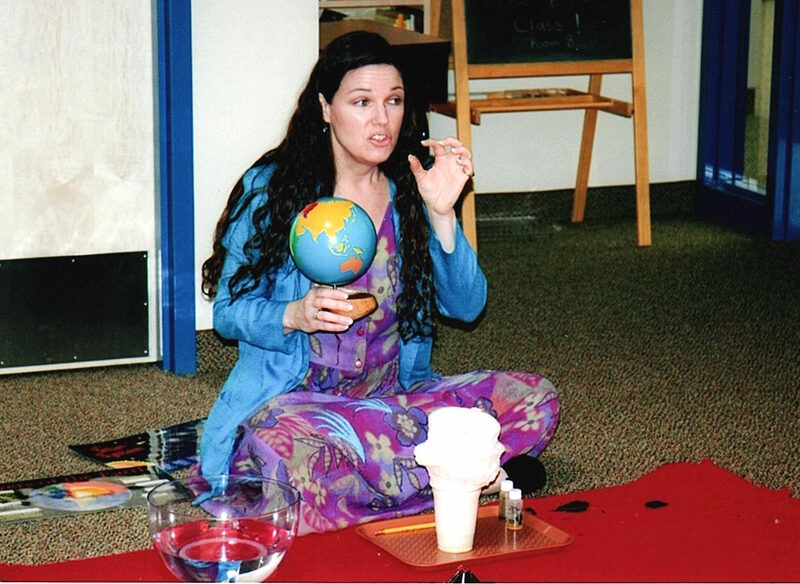 Experienced educators will get a simple model for helping parents understand and value the Montessori approach. The booklet gives specific suggestions for any educator, including a child’s first educator: his parents. Learn the simplified Montessori for Everybody system for empowering learners and unleashing creativity in the home or classroom. Sign up for guidance on doing Montessori in your home or school, get our guide to 70 free Montessori videos as our gift, and learn to bring out the creativity and genius in your students or children. 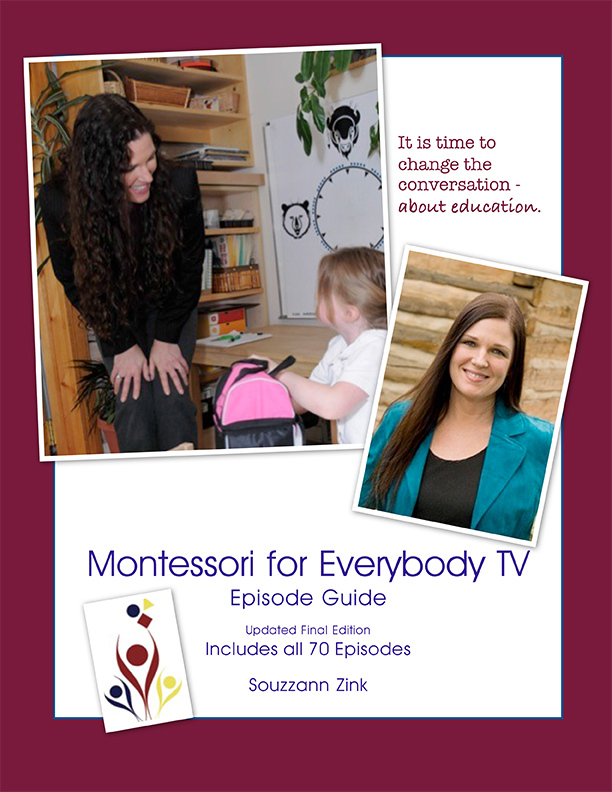 Receive a guide to our 70 episodes of Montessori For Everybody tv and much more. Please send my episode guide! Thank you. You will receive a link to the episode guide in your email. We will never send your information to third parties. 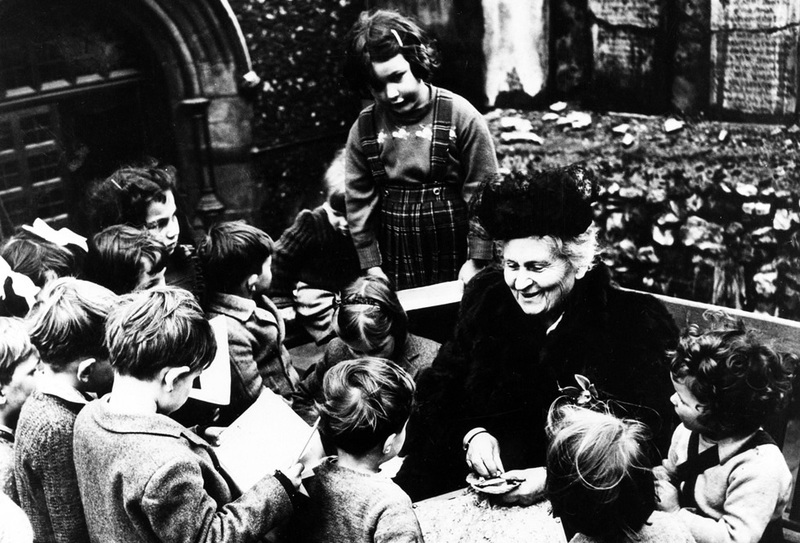 One of the greatest innovators in education and cognitive psychology was Maria Montessori. Unlike other famous well-known innovators of her time, such as Jean Piaget and John Dewey, her work was extremely practical. She was less interested in why children did things at a certain time than in providing ways to support and enhance healthy development and learning. 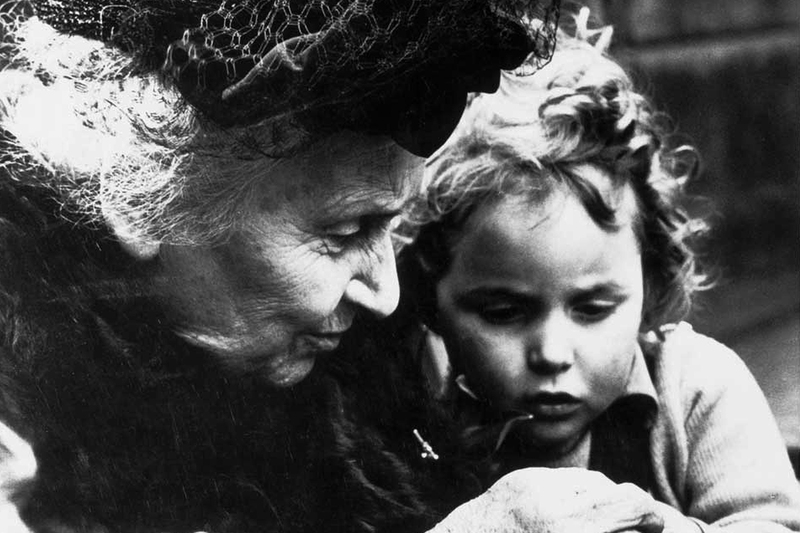 Though child-size furniture, objects for young mathematicians to manipulate, and the innovations we now call, ‘hands-on learning,’ are almost universally accepted today, Montessori originated them all. Less than 30 years ago, it was hard to find well-designed furniture sized for a three-year-old. Yet Montessori was promoting and providing these innovations in1907. The true test of an innovator is that his, or her, ideas are now common practice. Montessori for Everybody is devoted to making these revolutionary learning ideas available to parents and teachers of all children. We even believe they hold many of the keys to dynamic, effective, enjoyable training experiences for adults as well. Learn how you can begin to use Montessori’s ideas to make learning a delightful, productive experience for all those you teach and parent. “I was so impressed with what I found in the Practical Life set that I purchased the whole program. And I have not been disappointed. Every module is jam packed with helpful information and resources.